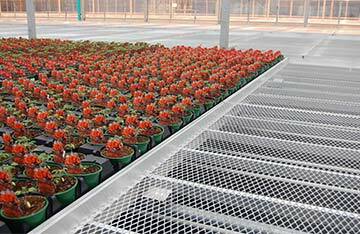 Greenhouse wire mesh rolling bench is designed to cut labor, increase greenhouse service efficiency and prolong its service life. 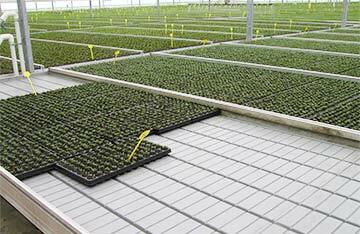 Our rolling benches are designed for in-ground installation and used for saving space in high production process. Overall it offering superior strength and longevity. 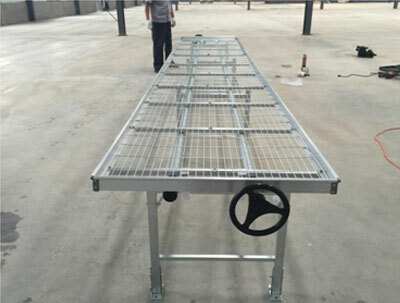 The standard size of movable wire mesh seedbed is 2.5m×1.65m×0.75m(L×W×H), and customization is also acceptable according to your requirements. 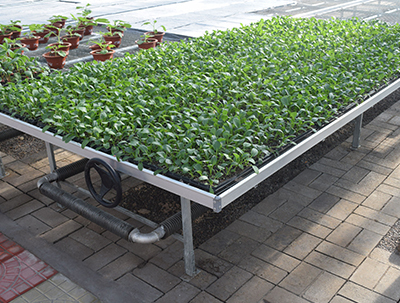 Generally the aperture of movable seedbed is 130 mm × 30 mm (L × W), and the position of seedbed could be fine-tuned by hand-wheel. 1. Manual drive, easy operation and movement. High quality aluminum alloy frame. 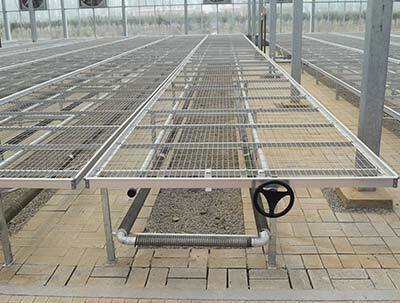 The surface treatment of steel pipes, bracket and seedbed networks is hot dip galvanizing, which particularly suitable for hot and humid environment greenhouse. 2. 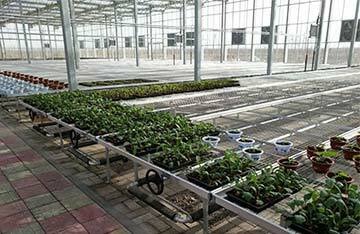 The range of trimming is 30cm, which can make the utilization of greenhouse area upon 80%. 3. 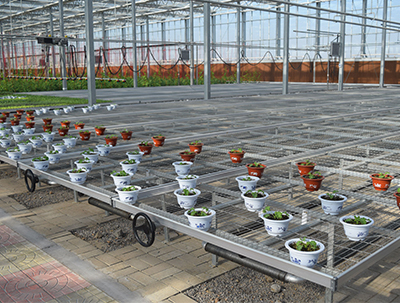 Anti-tilt device prevent the inclination problem caused by the plants weight. Max width 2.5m, can be customized according to the customer’s requirements.